What to do about behavior? I have used several systems for behavior. One thing I have found is that I need a system to keep the students and myself accountable. For older students, I have used a clipboard system with a weekly behavior progress report. For younger students, I have used colored cards that the students change when their behavior gets testy. The thing I have been missing is allowing them to change when their behavior is spectacular. So I started thinking about how I could tie in everything I want. Wants: accountable students, accountable parents, tracking system over time (RtI), consequences, rewards, several steps to give chances, tie in theme. Each child has a horse with their name on it (which ties in with my western theme). They start every day in the Barn. 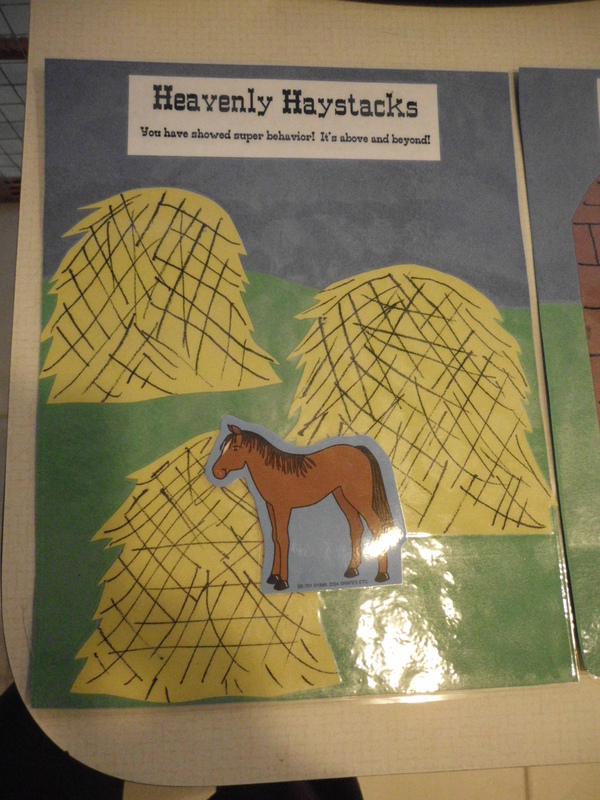 If they have a spectacular day they will trot over to the Heavenly Haystacks. The first warning given has their horse trot to the pasture, second warning to the corral, and third warning their horse gets a lasso. 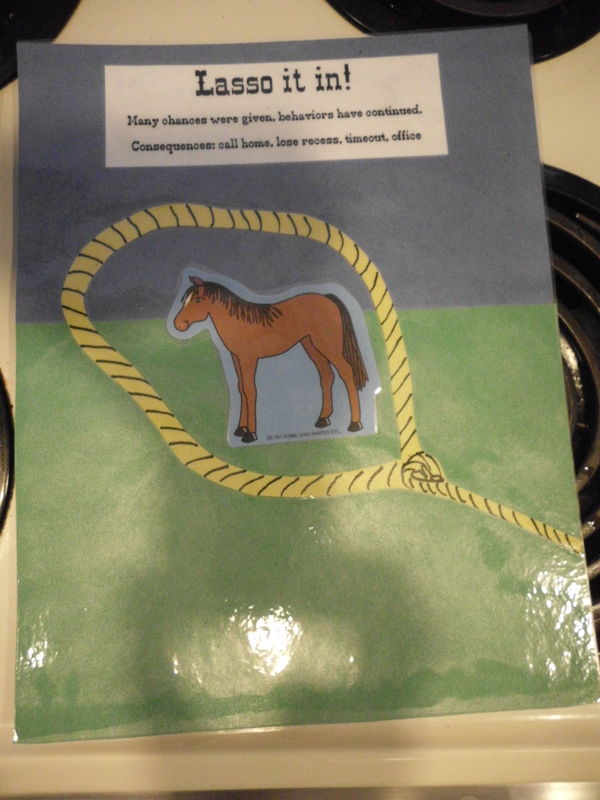 I just bought a pad of horse paper and laminated them. 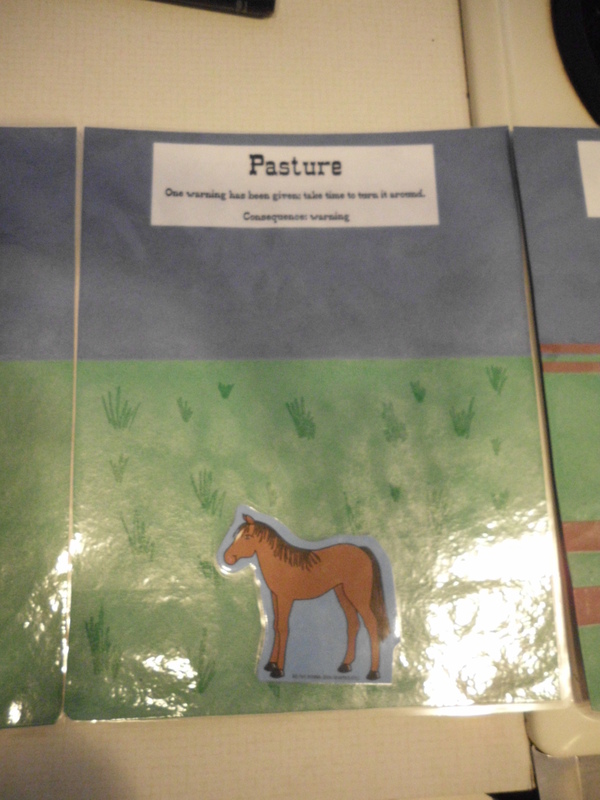 Then I used construction paper and markers to create the farm look. Velcro is the last piece of the puzzle, I attached it at the bottom of the sheet. 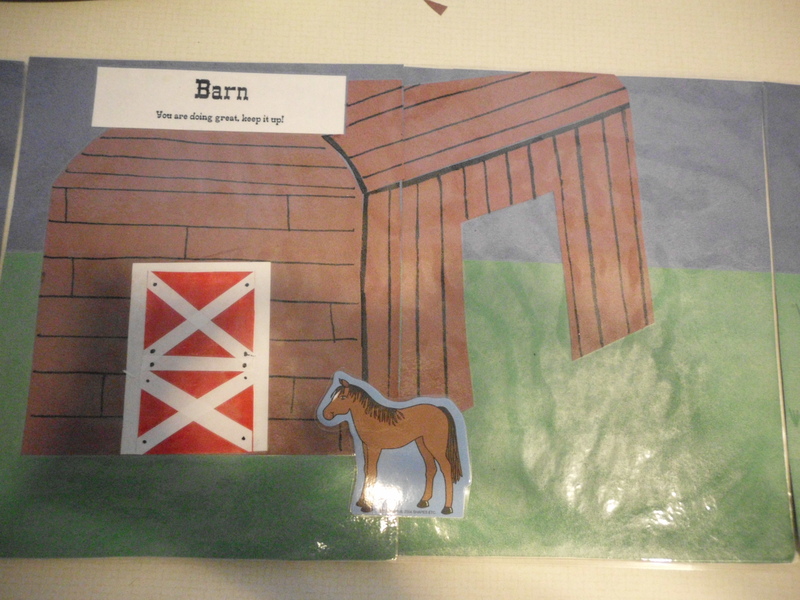 Notice that the barn is two pages, I used more velcro on these two pages because hopefully the majority will stay at the barn. The main thing is that it needs to work for you and your kids. If it is too time consuming, you probably won’t follow through. 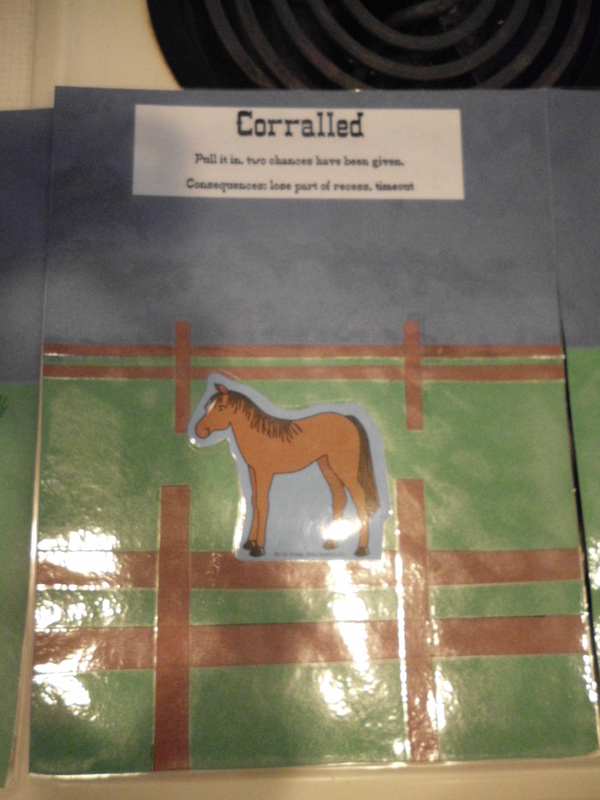 My students are responsible for moving their horses and putting out their behavior sheet at the end of the day for me to circle which step they are on and initial. And then they have to take it home to their parent. 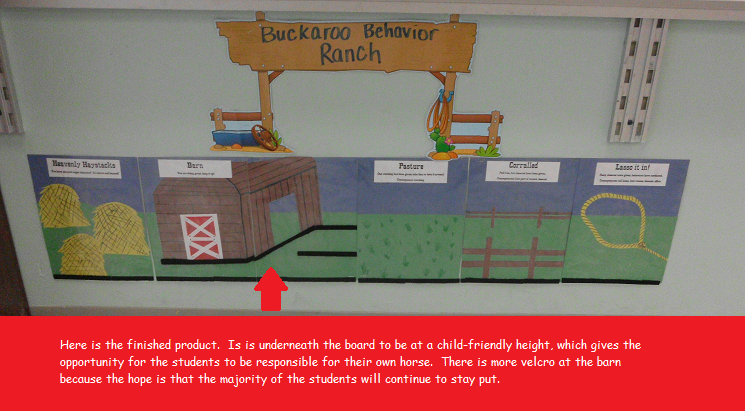 Note: I also have things in place for positive behavior over time. Each week, I eat with students that stay in the barn. I also use bucket fillers so that the students understand feeling proud for doing the right thing on their own.